My name is Frances Newcombe. I graduated from the Rhode Island School of Design in 1988 with a BFA in illustration. After college I returned to my native Los Angeles, and began working in Broadcast Design for television. For over twenty years I have created on-air graphics, promos, and main titles for every major network including CBS, ABC and NBC, where I currently work freelance, as well as the Discovery Channel, TLC, E! Entertainment, and Buena Vista Television, to name a few. My first love, however, is sewing, particularly quilting, and in the last several years I have devoted much of my time to various sewing projects, and fabric design. I am married to John Newcombe since 2000 and 2 1/2 years ago I had a baby boy named Jonah. He is our little miracle. My newest collection with Art Gallery Fabrics is called Utopia. It is inspired by dreams, a place that is filled with vibrancy and ignites our hopes. 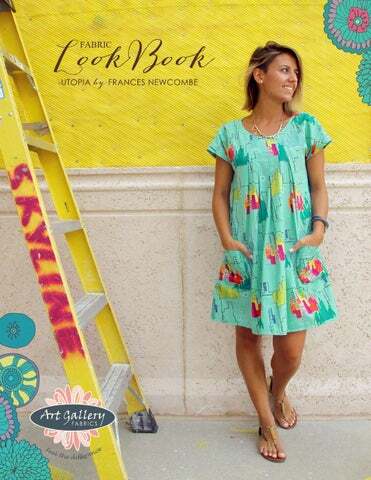 Astrodelic by Frances Newcombe FREE PATTERN! 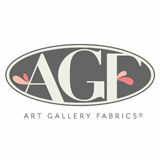 Looking for a place to purchase your favorite Art Gallery products? Select your country from the map for a list of online stores in your area.